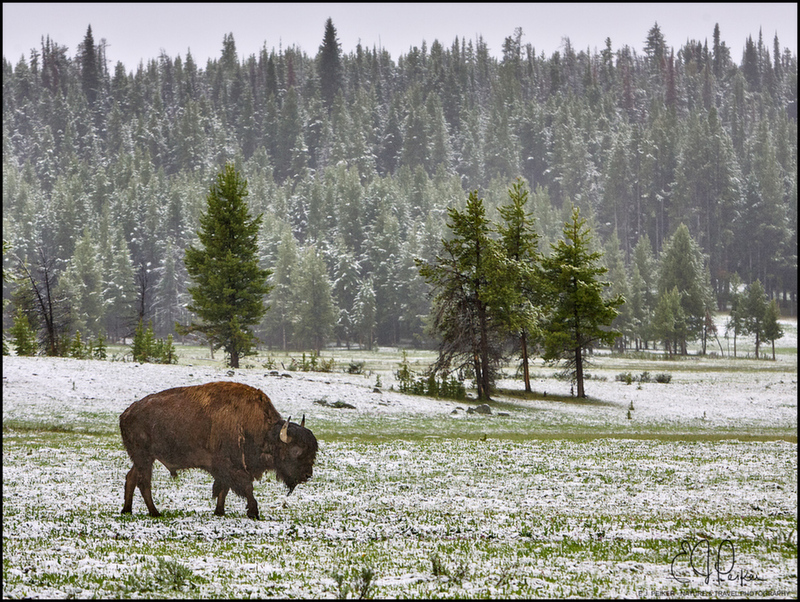 Great composition and wonderful view of this bison in the iconic Yellowstone landscape. We are no stranger to crazy weather here in the UK, but not that I can recall 6" of snow in June! This makes for a very pretty scene- I really like the composition with so much beautiful landscape included. Six inches of snow in June? That's about when the snow is finally melting in Vermont! LOL. Not really, but it often feels that way. A beautiful bisonscape at Yellowstone, EJ. Great composition and placement of the bison. Excellent.